The public may be ready for a January B-movie (that is, Michael Mann’s “Blackhat”) about cyberterror, and particularly when the idea is not really terrorism but thuggery disguised as politics. A nuclear power plant in China is hacked, threatening a meltdown, and the Chicago commodity exchange is hacked simultaneously. Manipulating soy futures. At least soy is easier to “take delivery” on than pork bellies. The government is so desperate that it lets “ethical hacker” Nick Hathaway (Chris Hemsworth) out of prison to solve the case. His history is illustrative: He had served 18 months for a bar fight, and then, as a felon, unable to get normal work in Silicon Valley, so he got hired to hack, got caught and sentenced to 15 years. He indeed has street smarts, manipulation and assertiveness skills, and some of the toughness of prison, not common with programmers. He's fluent talking about RAT's (remote access tools). He is “ethical” in that he says he went out of his way never to hurt individual people, only big banks. Like most young men in Putin’s Russia today, he needed to make a living somehow. He’s rather a robin hood, ready to protect the little guy, physically if necessary. He’s rather a revolutionary, almost a Bolshevist fighter. And of course he develops a romance with a co-plotter, a young Chinese woman (Wei Tang). The leader from the Chinese side is charismatic enough, played by Leehom Wang. Chris Hemsworth is appropriately physically spectacular, at 29. His chest is still completely hairless, and before the closeup camera a lot (like you don’t want anamorphic wide screen then). Another hacker in California is depicted as covered with gang tattoos, which wouldn’t be characteristic. He types very fast, and never has trouble memorizing long, meaningless passwords. The movie has impressive shots inside the nuclear power plant (although the sarcophagus in the Ukraine is more interesting in real life), and scenery in Hong Kong (about half the movie), Malaysia (the open pit tin mines are spectacular, and although near the coast, remind me of “mountaintop removal” in the IS), and Jakarta. The connection to nuclear power plant terror—see the movie, that’s a spoiler. The credits mention Kuala Lumpur, but the buildings in the movie match those in Jakarta on Wikipedia. There is a climactic scene near a merry-go-round (echo of Hitchcock’s “Strangers on a Train”) and Balinese dance festival. The shootout and violence may recall the terror disco attack in Indonesia in 2002 (another one was prevented). So the film doesn’t quite make Nick into a “James Bond”. It tends to stick to the conventions of Screenwriting 101 for commercial movies (especially those that need to make money in Asia as well as the US), keeping the protagonist in maximum trouble all the time. The film also uses another optical device – showing the insides of a printed circuit, with the electrons making their journey. This image comes right out of the 1979 Disney movie “Tron”. Remember, users are what our programs are for. Viola Davis stars as one of the fibbies, and is pretty effective. The official site is here. This time, Legendary went through Universal rather than Warner Brothers. 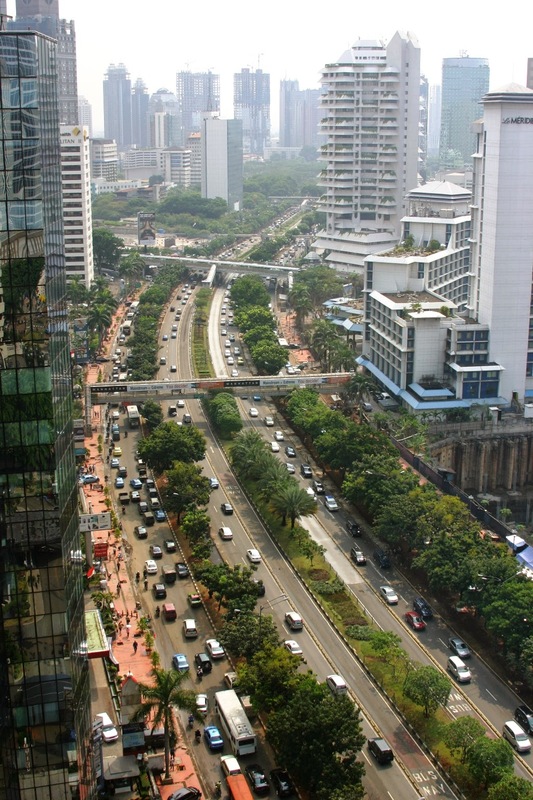 Wikipedia attribution link for Jakarta picture (author Sanko, CC-SA 3.0 unported). I saw this before a fair late Sunday afternoon crowd at AMC Tysons, maybe in ETS.